Swindon175 has today announced that GWR have agreed to be main sponsor to the year of celebration in the town. 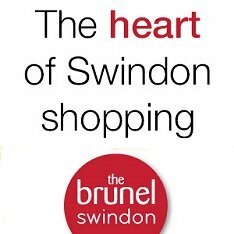 The sponsorship will help support the various events that are being lined up including a series of school assemblies which are taking place on 25 February 2016, the Hooters which will sound again over Swindon in March, a ten day Swindon Fringe Festival and the very successful “Brunel” The Opera: The Little Man in the Tall Hat, to name but a few. Swindon175 marks the anniversary of the birth of new Swindon when construction began on the Great Western Railway’s locomotive repair shed. Supported by sponsors and Swindon Borough Council and managed by Business West, 2016 will see a wide range of events which will involve Swindon’s people and businesses in a celebration of the town’s rich heritage and achievements. Caroline Black, Swindon175 Project Manager, said, “At the heart of our celebration is the world famous works of the Great Western Railway, so to have secured the support of today’s GWR is absolutely fantastic. Matthew Golton, GWR’s Business Development Director said, “It is only right that GWR support the celebrations which mark the start of the building of New Swindon. We are also looking to add to the celebrations later this year as we mark 175 years since the opening of the Great Western Main Line all the way from London to Bristol, which continues to play such an important part in the region's economy today." Swindon175 are also pleased to announce that Lord Joel Joffe is supporting the celebrations and has agreed to become patron for the year. An enthusiastic supporter of Swindon and its heritage, Lord Joffe’s reputation and stature will help further promote the town’s anniversary. For further details on Swindon175 please visit the official website via the link below.